be very careful when you blog – welcome! oh gosh, sedition guidelines for blogs now? so writing a blog is no longer personal? we can’t say what we like now? so now the govt is going to tell us their definition of sedition… as they like, as it suits them? is what i blog about yesterday – about the police’s double standard showing so blatantly consider as seditious? ok i know. there had already been bloggers who were detained and some charged for what they wrote on their blog. then what about this new sedition guidelines that kerismuddin said his ministry will be releasing soon? the guidelines covers blogs and online media. now even without the guidelines, online media and blogs had already been ‘disturb’ by the govt. so why now? i suspect this is just for show – put up the guidelines so that they have good excuse when they charged the online media or blogs for sedition. the sedition guidelines that will be coming up soon… will it applies to ALL media? yes, ALL, include utusan malaysia!! i’m sure not!! 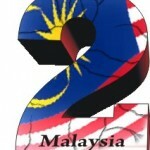 so mr kerismuddin, better come up with two different set of guidelines then – one for umno (esp. utusan malaysia/perkasa) and one for others!!! this is what has been happening now!! the DOUBLE STANDARD!! 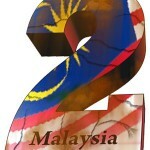 2 sets of laws in 2malaysia! The Home Ministry will release its guidelines on sedition that will include online publications like news portals and blogs on Wednesday. “The guidelines on sedition are based on four or five statutes, it has been vetted by the attorney-general. “So people will be very clear where they stand,” said Home Minister Hishammuddin Hussein (right) after presenting KPI awards to officers from agencies under his ministry in Putrajaya today. The minister had recently announced that the guidelines were in the pipeline to counter the rising trend in sedition and libel cases involving online media and social sites. However there are those who feel that the guidelines are an attempt by the government to rein in the freedom from censorship granted to online content by the Bill of Guarantees, signed during the formation of the Multimedia Super Corridor. The inability of the government to control online media has been a major headache for the ruling coalition as the new media continue to snipe at it with impunity. Hishammuddin also today denied accusations that police interfered with ceramah conducted by PAS in the ongoing by-election campaign in the northern Johor town of Tenang. “If you look at the ceramah sessions on an ad hoc basis, not everyone will be satisfied. Neither BN nor PAS. But on the whole, the police are only there to do their job. “Some parties want to politicise this matter… maybe they want to garner support. They are the ones who cause chaos, and this disturbs public order,” argued the BN minister, who is an Umno vice-president. PAS vice-president Salahuddin Ayob (left) made the claim in the Islamic party’s organ Harakah, saying that “heavy police presence” was interfering with the party’s ceramah sessions in Tenang. The police have been accused of disrupting Pakatan Rakyat events, even during PKR de facto leader Anwar Ibrahim’s visits to Johor before the by-election. The opposition’s accusations of police being strict on Pakatan’s political campaigns, but giving plenty of leeway to BN component parties, has been a long standing complaint in the country. Hishammuddin also announced that his ministry will implement a benchmark of one year for the processing and decision of citizenship applications. “Times are different now and security concerns are not like last time. “In this new climate, it is possible to solve the applications in that time,” said the Sembrong MP, adding that security concerns were the stumbling blocks that caused most citizenship applications to drag on. Citizenship applications are known to have taken up 20 years or more with many moving cases of teary eyed senior citizens handed their citizenship papers after decades. wow! how i love the double standard! yet again – double standard! will it ever stop?